Original 2014, signed by the artist. 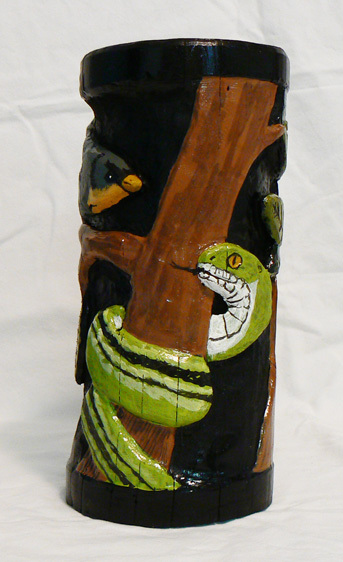 Carved giant bamboo with acrylic paint 9 1/2″H x 4 1/2″W x 4 1/2″D. A Vase approx 1 lb.